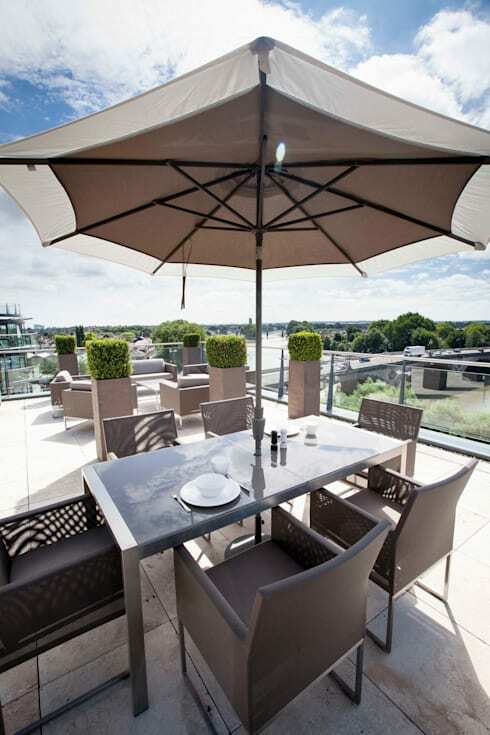 The terrace is a great way to enjoy the sunshine, fresh air and natural element of your surroundings, but just because you live on the top floor of a city apartment, doesn't mean you should forget about decorating your outdoor area in chic style. 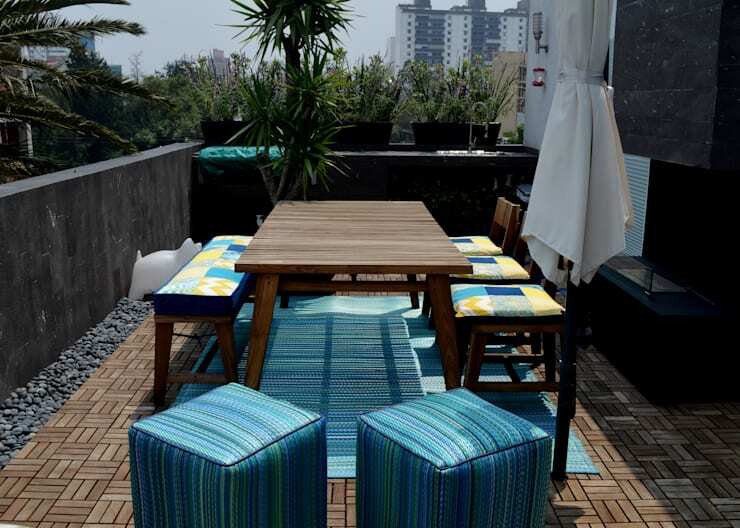 In this homify feature, we look at 13 amazing modern rooftop terraces that are the epitome of tranquility and relaxation. Interested in creating this comfort zone in your own home? Well, then continue reading! 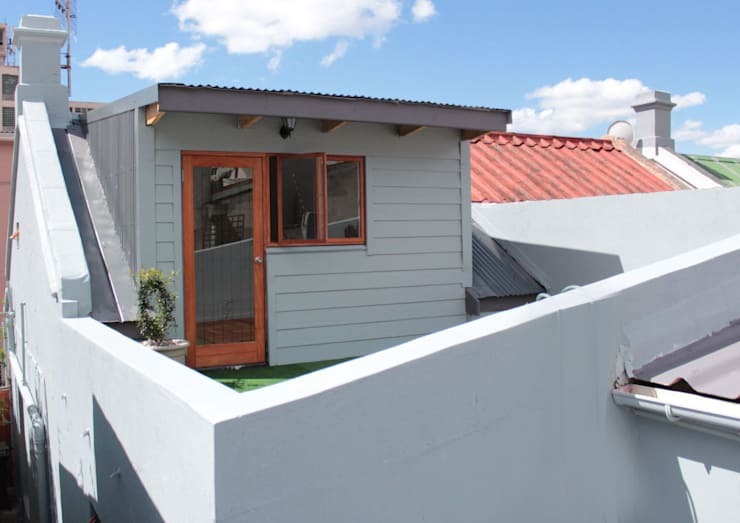 A small balcony or rooftop doesn't need to be bland and boring! This is a serene space for city slickers. 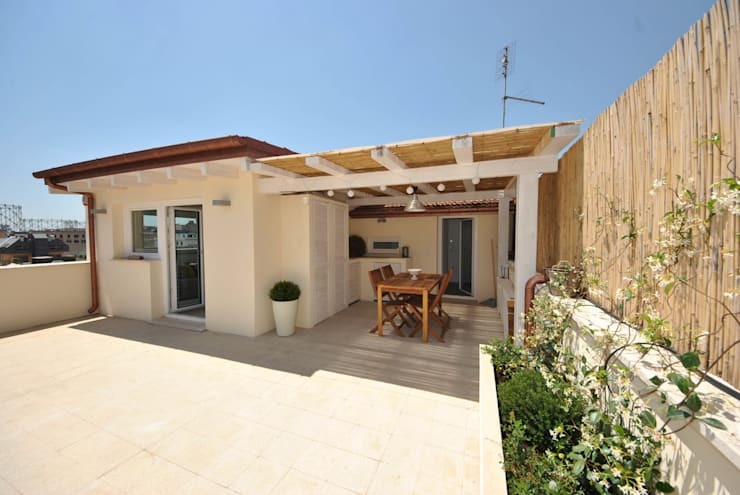 A terrific terrace with a spacious layout and simple outdoor dining area could be the entertainment area you've always wanted for those balmy summer evenings. 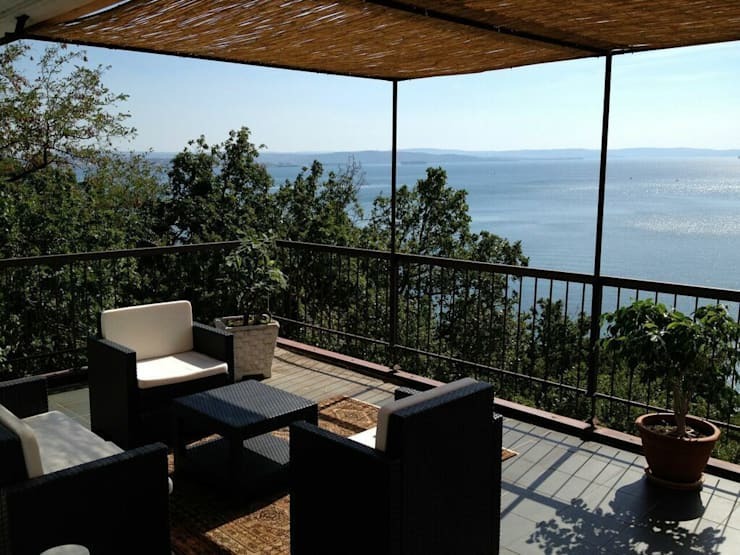 Wholesome neutral colours, natural textures and a brilliant view, well there's nothing easier on the eye than a Mediterranean inspired design. 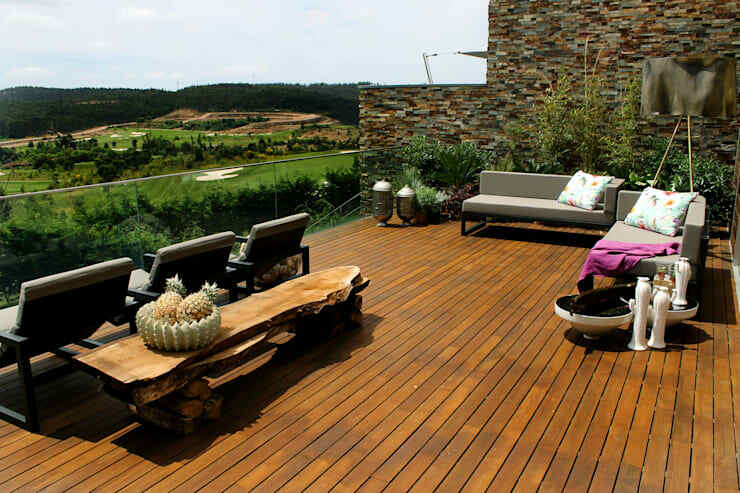 A wonderful wooden deck is perfect for a modern rooftop. 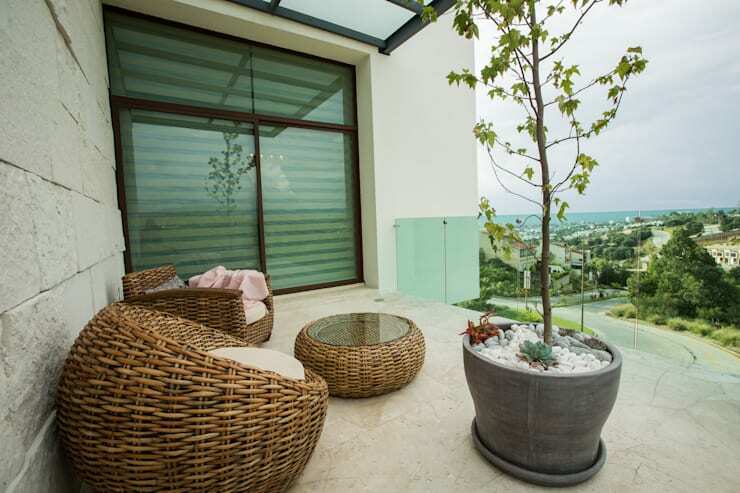 Enjoy the comfort of wicker furniture while you admire the city below. 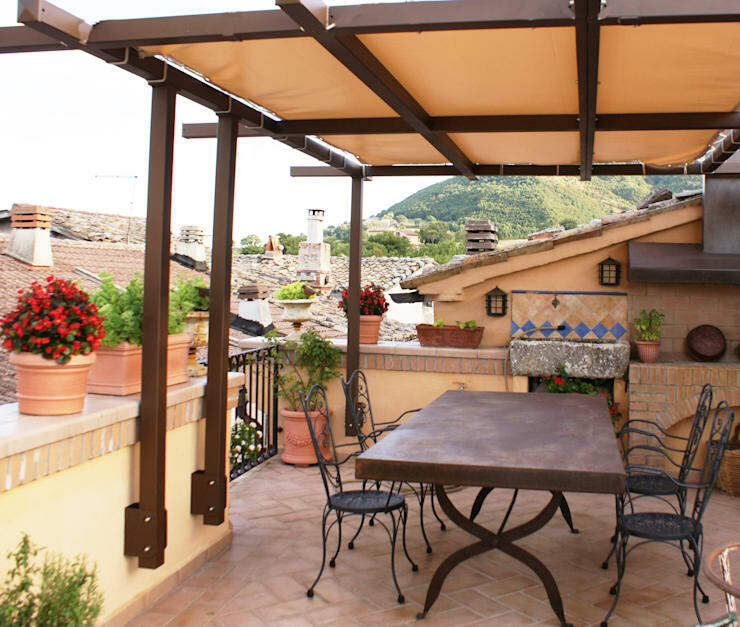 A large dining table outside is a must-have for a busy household. Catch up on your tan while you look out for marine life on your balcony. There's nothing more calming on the mind, body and soul. 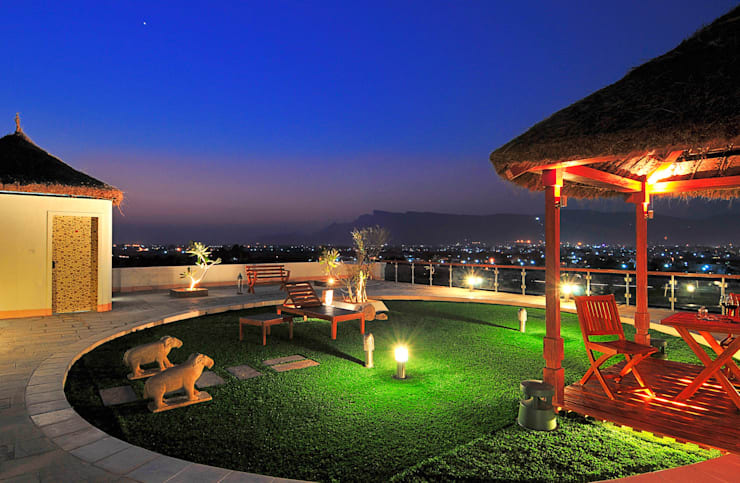 If space isn't a problem, then opt for an artificial lawn, covered dining area and brilliant lighting to enhance a romantic ambiance. 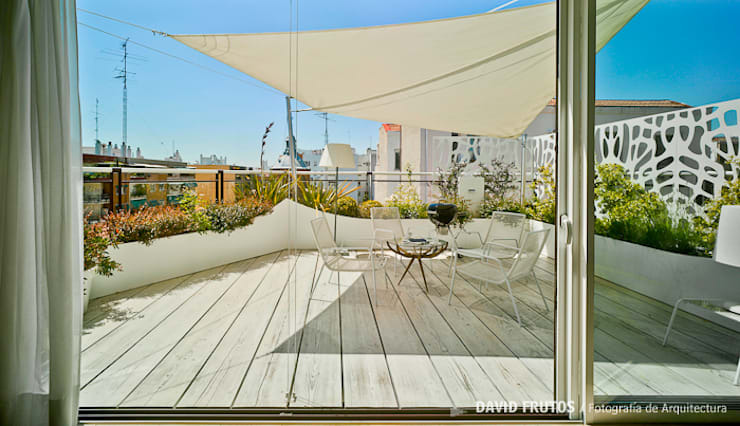 Soak up the sun on your rooftop with this light colour scheme, perfect for a striking space. A breathtaking sight of glorious rolling hills below is a fantastic way to end the day. 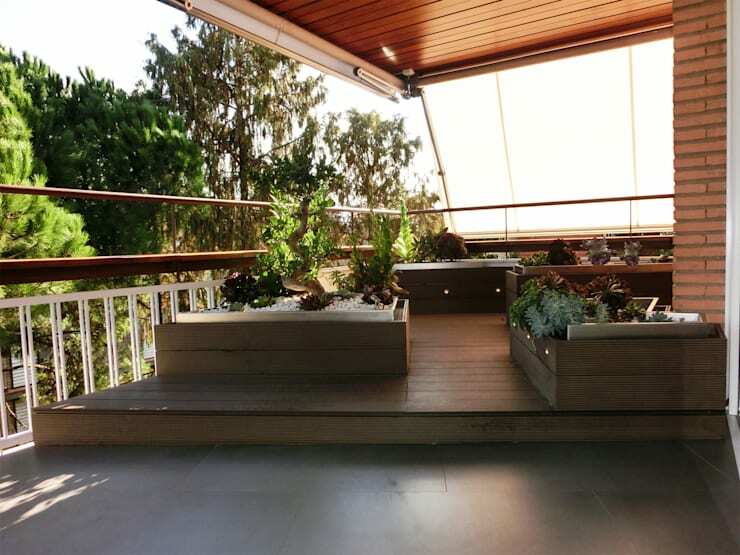 Terrace designed and built with a platform and planted areas made of synthetic wood. If the sunshine is too much for you, then consider some shade and take in a breath of fresh air. 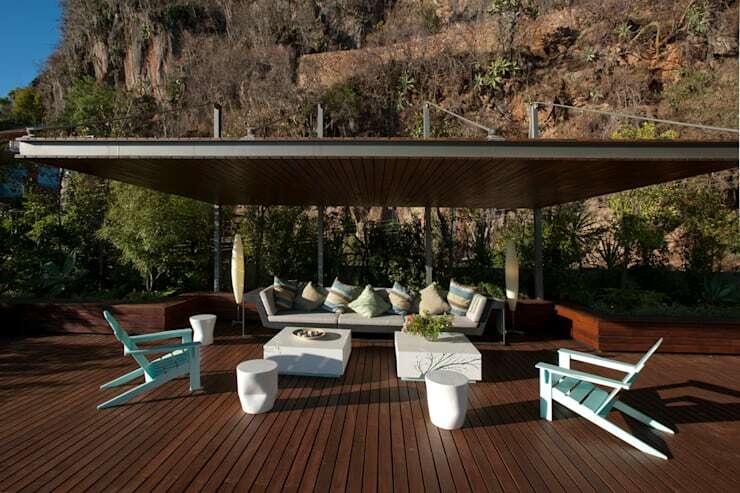 This terrace is a fantastic use of space for everything, from outdoor dining to just lounging around on the weekend. There's no better way to imagine you're in a far off land, then creating an oriental inspired zone, complete with a hammock. How about these 12 creative and affordable ideas for your patio or garden? 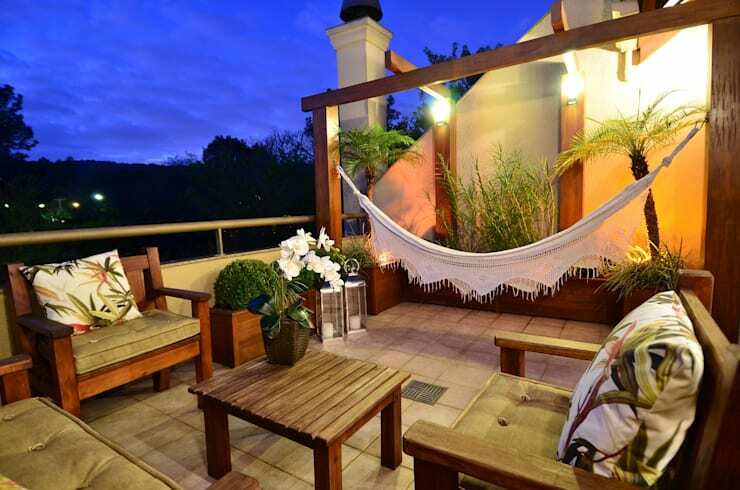 Which rooftop terrace idea do you like most?